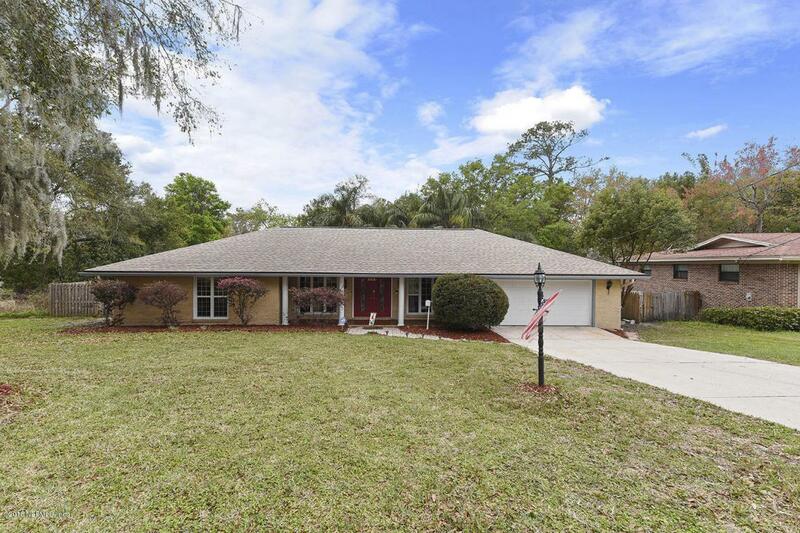 Amazing updated 4bed/3bath all brick pool home featuring custom tile work throughout! Just 10 minutes from downtown, .3 miles to the boat ramp, and no HOA makes this a rare find! It's high ceilings provide a very open and inviting atmosphere. The kitchen will impress all with it's beautiful, rich cabinetry enhanced with an under lighting feature, induction cooktop/island hood, granite, tile backsplash, and SS appliances. The kitchen opens to the Family Gathering room anchored by an electric fireplace accented by stone. Barn doors accessorize the Master suite. Entertain family and friends pool side on the large pavered deck! A tropical oasis feel has been accomplished with tall palm trees outlining the deck and crystal blue pool! The Guest Suite has it's own eco friendly bath!barn doors in the master suite for the bath and walk- in closet enhance the decorative detail of this home! A very large Florida room makes for the perfect work out area or "man cave"!